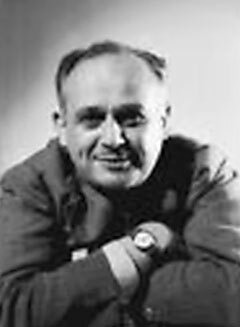 Moshe Feldenkrais (1904-1984) was one of the leading scientists of his generation. He was a practicing physicist and engineer who made many original contributions to his fields of concern. He was a close associate of Nobel Prize Laureate Frederic Joliot-Curie at the Curie Institute in Paris, where they conducted research. He was also an early practitioner of Judo, having begun his formal practice around 1932. He was a sought after teacher of Judo and authored several books on the subject. However, it was in the relationship between movement and the ways we think, feel, sense and learn that Dr. Feldenkrais made revolutionary discoveries. Feldenkrais® lessons explore the biological as well as cultural aspects of attention, intention and cognition. The singular genius of Feldenkrais lessons is how they use bodily movement, actual and imagined, to focus learning at the juncture of thought and action. His work demonstrates that sensory-motoric differences spaciously attended to in an act create the awareness to free us from compulsion. Feldenkrais passed away in 1984, in Tel-Aviv, Israel. The small group of practitioners he trained continue to pass on and advance his Method.